The Village of Cumberland is an incorporated village municipality in the Comox Valley on Vancouver Island. Our goal is to provide crystal clear communication between residents, businesses and visitors to Cumberland and their government. The Village offers a wide range of services and has a knowledgeable staff that are expert in their respective areas and provide the most important information at a glance. Sustainability and Green Initiatives like water conservation, Habitat Conservation, Garbage Recycling and Upcoming Village Projects are built in to the Village’s mission and governance including the Official Community Plan. The community’s vision for future land use and community development is determined by the Official Community Plan, the regulations in the Zoning Bylaw, and other bylaws, guides and tools. 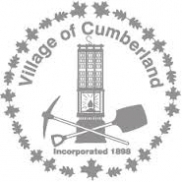 Cumberland’s council works throughout the year to provide good government for the community including a variety of services to sustain and enhance the lives of residents, from fire protection to water parks.